Your new home. Situated in a quiet neighborhood filled with well-maintained homes on larger lots, this is the way it should be. This home offers big value in a convenient setting. On your way to see 105 Periwinkle Ct., be sure to drive through Historic Pendleton, which is just a few miles down the road. Stop by the Village Bakery for a pastry or a delicious sandwich. Some of the history of this area dates back to the 1700s. 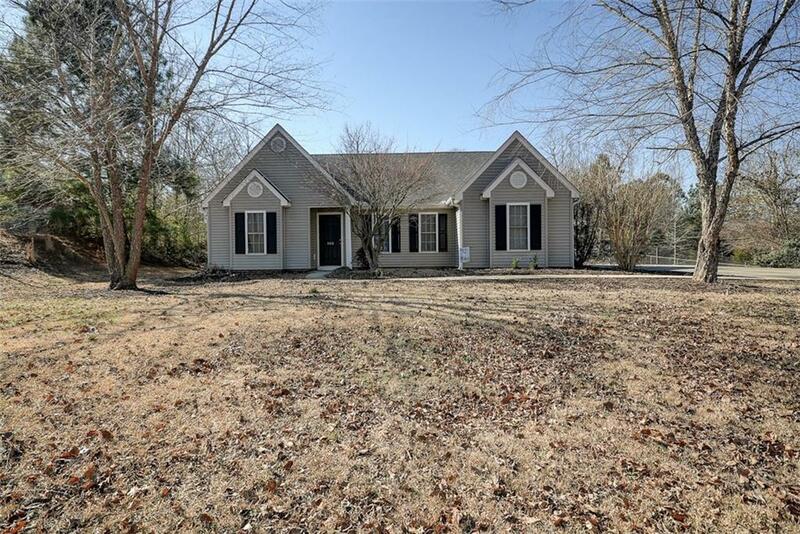 This location has easy access to schools including Clemson University and TriCounty Technical College and also conveniences such as shopping and restaurants. Whether you are looking to get some relaxing time on the back patio or head to Death Valley to see the Tigers play, this home works. Easy living starts with the ample driveway, parking, and large fenced yard with plenty of room for parking a camper or building a shop or garage. Or maybe you just have a dog that needs room to run, this property has it. The open floor plan flows well to maximize use of every square foot. All appliances are being offered in the sale of this home, so there is nothing more to consider. Move in and enjoy. The home has three bedrooms and two full bathrooms including a master bathroom that features a jetted tub and separate shower. 105 Periwinkle Ct. has been freshly painted with updated neutral colors. It needs nothing more than you and yours to enjoy spending time in the large living room or around the dining room table, or as we all know, the kitchen is where the party will always end up. Set up your showing appointment today.